We have a team of highly experienced Family Lawyers In Delhi, which specializes in handling matters pertaining to Family Law. 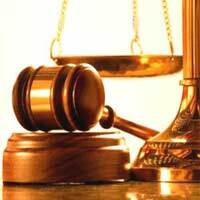 Our lawyers carry out a complete inquiry and analyze the factual and legal elements of the case. With adequate preparation they build strong case in the favor of the clients. Over the years, we have served clients in cases involving domestic violence, child custody, divorce, adoption, alimony, partition of share properties, etc. Family Law is one of our major specializations and we are widely appreciated among our clients for our consistent record in this field. We have a qualified and experienced Family Lawyers In Delhi team that is well versed in all the details regarding the area of Family Law. Our team continually research and updates itself with all the developments and changed in this filed so that we can serve our clients better. Issues involving marriage including maintenance, domestic violence, child custody, divorce, adoption, alimony etc. Estate is property that a person has legal interest in or that he owns. A person's will is a written document that describes how the person's desires about how his or her estate should be cared for and distributed after his or her death. It takes effect only after the demise of the concerned person.